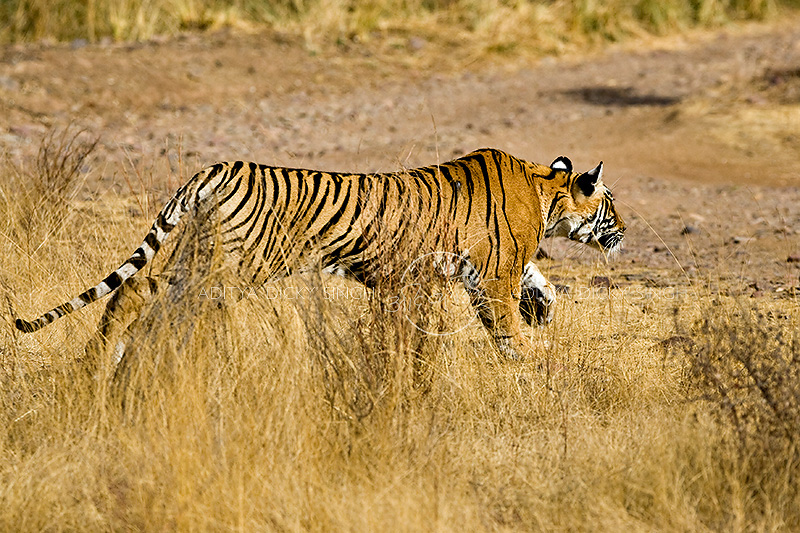 On the morning of 7th May 2008, we entered Ranthambhore national park on a safari. I was with my photography guru – Andy Rouse from UK. Soon enough we spotted T 17 hiding in a patch of grass on top of a low hill. She was eyeing a small herd of Spotted Deer at the base of the hill. We parked our vehicle strategically on the road at the base of the hill, hoping to get some good pictures. 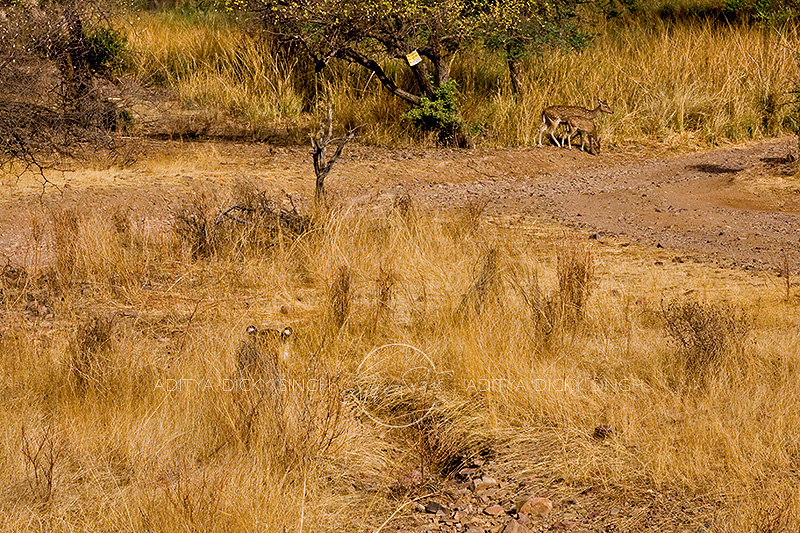 There was an open patch at the base of the hill between the tigress and the deer and we were wondering how the tigress planned to negotiate this open stretch of land. 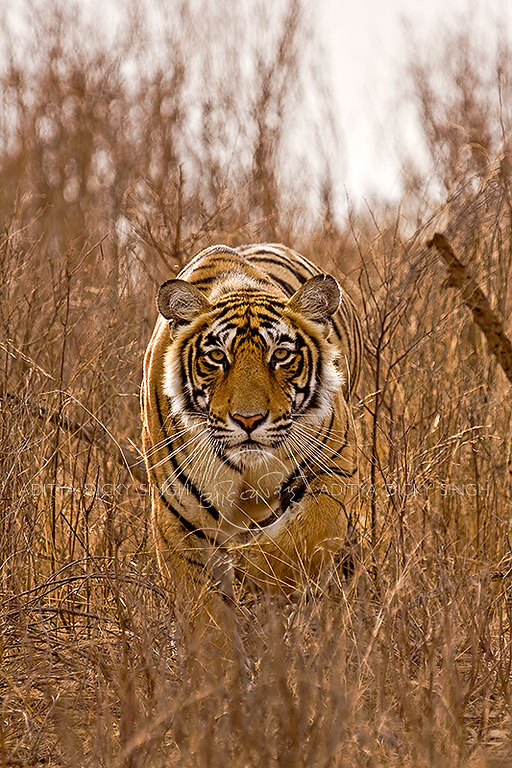 T 17 took a long time to come down the hill, slowly meandering her way through the tall grass. By the time she made is down the small herd had moved on. Soon enough she spotted another group of deer somewhere behind our vehicle. To our surprise she then started stalking directly towards our vehicle. She was moving very slowly to avoid being detected. 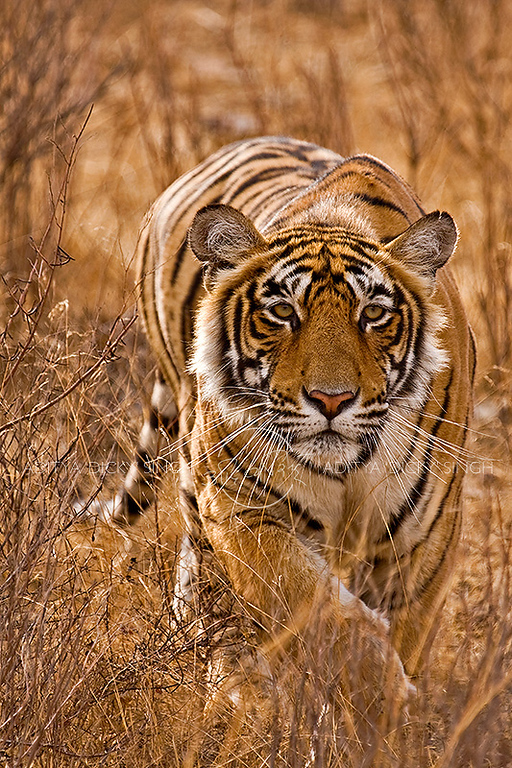 When she almost reached our vehicle she raised her head once to check the location of the deer, which were unaware of the tiger’s presence. 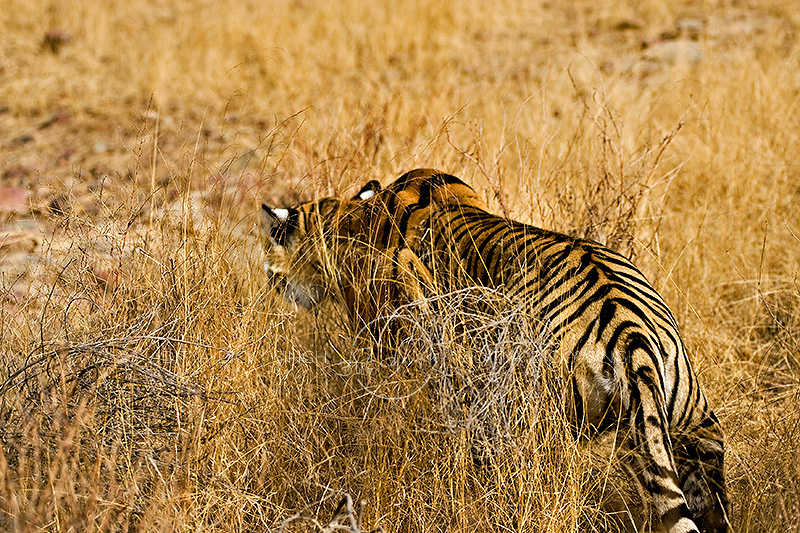 In fact they deer were slowly moving closer to our vehicle and the tiger. Once T 17 realized this she went flat on the ground right behind the rear wheel of our vehicle and stayed there for what seemed like a really long time. After some time she slowly sneaked out from behind our vehicle into a shallow ditch on the other side. 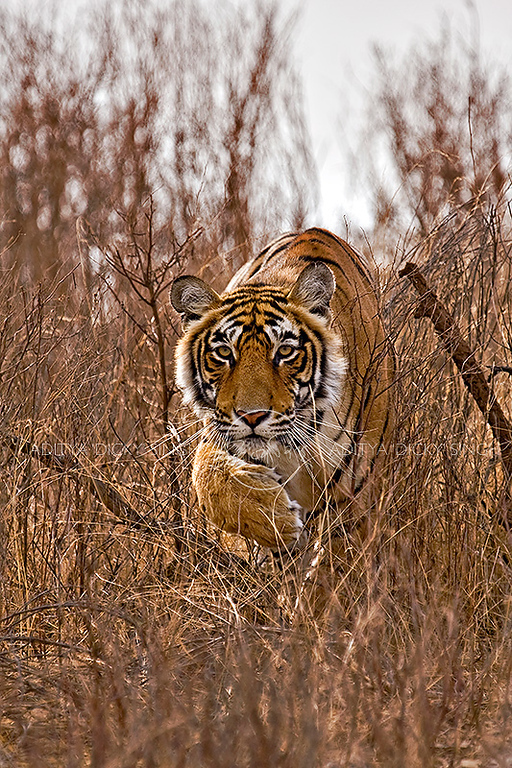 The ditch was so shallow that one could never have imagined that a full-grown tiger could conceal herself within that ditch. She slowly crawled to the other end of the ditch and got within 25 meters of the deer. 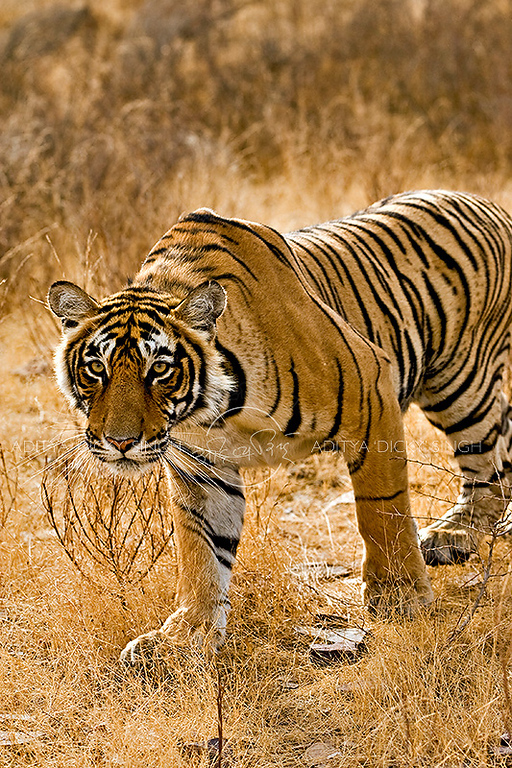 Once the tigress realized that she could not get any closer to the deer, she charged out of her hiding spot and managed to hit a female deer on her hind legs. 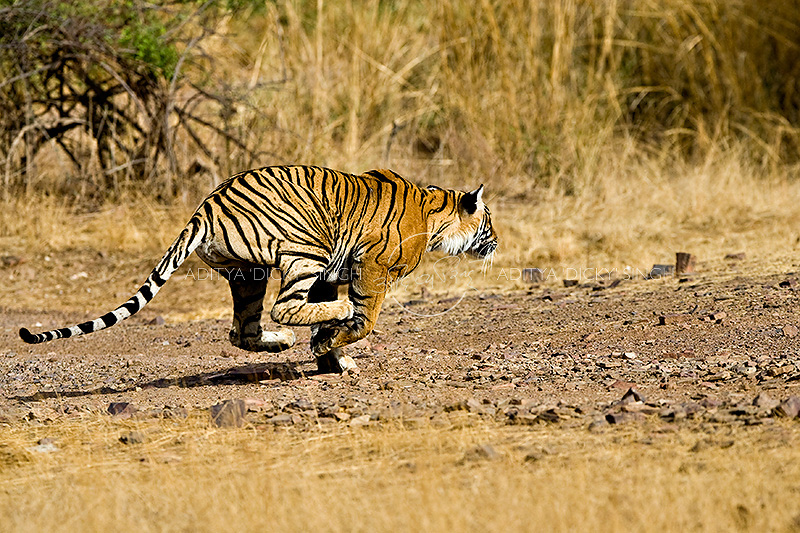 The deer flipped in the air but the tigress was so fast that she overshot the deer. 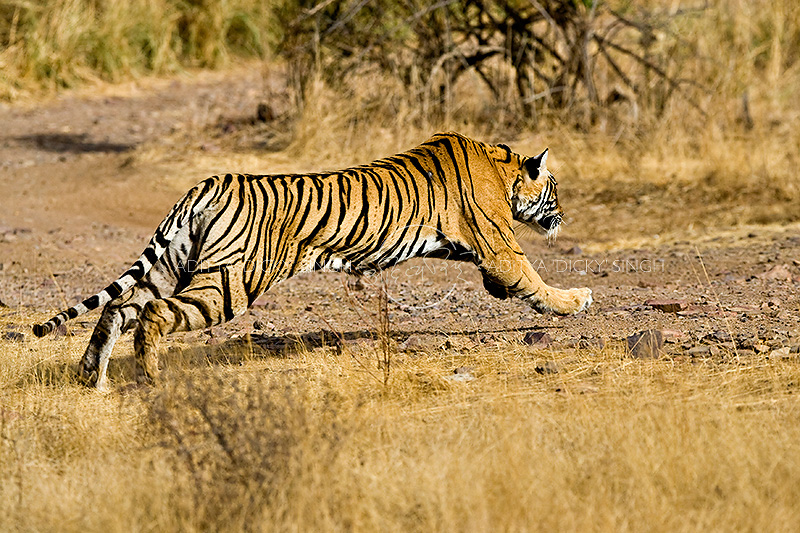 The deer fell on her back and got up immediately to run away, leaving behind a hungry tigress. One lesson that I learnt in this encounter was to look after the buffer in my camera. 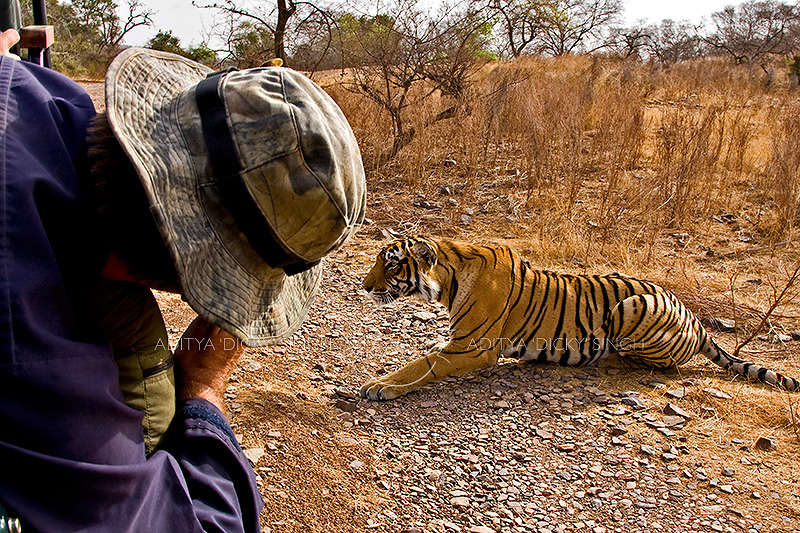 When the tigress charges I hit the camera shutter which was on the fastest mode of the motor drive. As a result I ran out of buffer after a few frames and did not manage to get an image of the deer in air with the tigress below her. My guru did look after the buffer in his camera and shot it all.